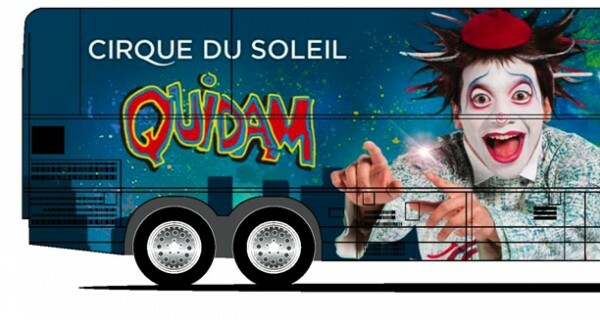 As a way to generate some excitement for the upcoming Cirque du Soleil performances for the arena touring show Quidam, a one-of-kind tour bus will visit Windsor Starting on Thursday and leading into their performances on January 11th to 15th at the WFCU Center. At each location, the Quidam tour bus will create a festive atmosphere with the opportunity to win Quidam show tickets and prizes. Take souvenir Quidam photos using cutting-edge green screen technology, make unique video postcards to send to friends and family and receive souvenirs includes Quidam postcards and popcorn. Quidam pays tribute to individuality; to the uniqueness of each human being. It relates the story of a young girl who feels ignored by her parents. To escape her reality, she slides into an imaginary world where she meets characters who help her discover her true personality. Tickets are still available for the WFCU shows at their website or by calling 1-866-969-9928.